I saw in the New York Times that Aimee Bender’s latest masterpiece is now out in paperback, perfect for summertime beach bags. Aimee Bender’s collection of stories satisfied all my desires. Powerful, dark, magical, engaging and filled with unforgettable images. 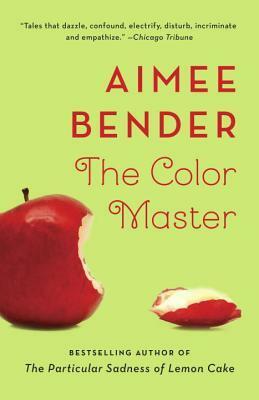 Not surprisingly, I was most moved by the stories containing magical realism, especially “The Color Master,” “The Devourings,” and “Appleless.” Bender has an amazing ability to immerse readers in an alternate universe while making it seem all too real. These stories touch me emotionally and their “truths” are more real to me than a story set in my own backyard. I was pleasantly surprised that her more realistic tales held the same kind of resonance for me. “The Red Ribbon,” “The Fake Nazi” and “The Doctor and the Rabbi” are excellent examples of short stories that stand alone as full-bodied, if incredibly lonely, works of fiction. I’ve determined that I will pretty much follow Aimee Benderwherever she goes. Immensely satisfying. My review of The Particular Sadness of Lemon Cake and Food for Literary Thought.